Bag Cookie Combo #2 (30 Count Variety Bag). 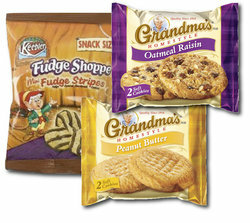 We added a 2nd variety bag of cookies to our website to help meet the needs of everyone. Ordering variety bags ensure that you get in what everyone likes! 10 Keebler Fudge Stripes Mini Cookies.